Omar Nelson Bradley was born in Clark, MO on February 12, 1893. He was appointed to the US Military Academy in 1911. He graduated 44th in his class. He rose to the rank of major during the First World War. In February of 1941, Bradley was promoted to brigadier general and sent to Fort Benning to set up the Infantry Officer Candidate Program. 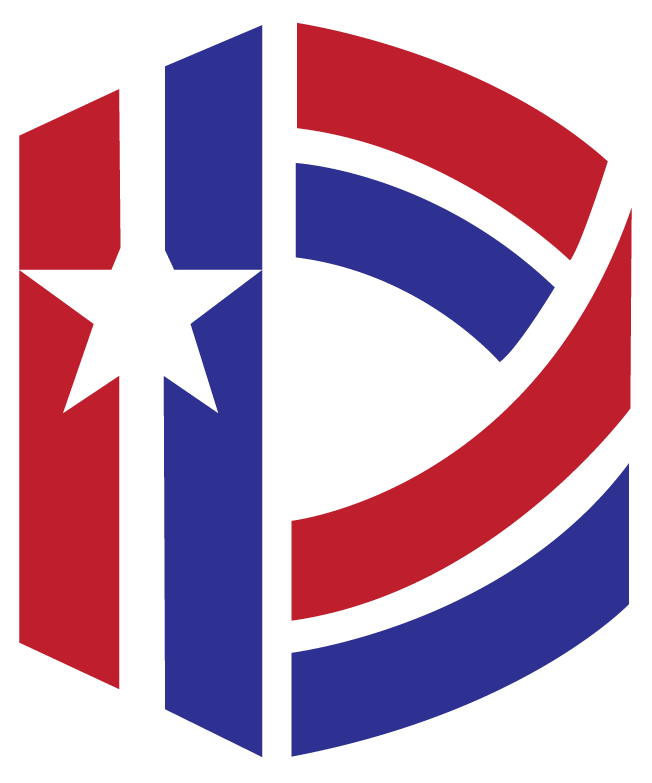 After the entrance of the United States into WWII, he acquired command of the 82nd Infantry Division and later the 28th Infantry Division after promotion to major general. In 1943, Eisenhower appointed Bradley his personal representative in North Africa. Following this, Bradley took command of II Corps and went on help defeat the German Afrika Korps. After victory in Africa, Bradley helped plan and execute the allied invasion of Sicily on July 10, 1943. His successes earned Bradley the command of the 1st U.S. Army in the invasion of Normandy. Later, Bradley assumed additional duties as commanding general, 1st U.S. Army Group. Following his release from II Corps, Bradley arrived in the United Kingdom in October 1943. Bradley’s strategy was to use the 82nd and 101st Airborne Divisions to protect his landing forces from local counterattacks by German forces. Following extensive planning by allied commanders, Bradley landed in France with the 1st Army. On July 26, the 1st Army penetrated German lines at St. Lo and continued to drive into France. Sensing victory, Bradley split his divisions into two separate armies and called in Patton’s 3rd Army. This move put Bradley in charge of the 1st, 3rd, 9th and 15th Armies. Miles Dempsey was born on December 15, 1896, in New Brighton, Cheshire, England. Commissioned into the British Army in 1915, Dempsey fought with the British Expeditionary Force in France during World War I. At the beginning of World War II, Dempsey was a lieutenant colonel in command of an infantry brigade in France. During the Allied retreat, Dempsey’s force provided screening for the British forces as they evacuation from Dunkirk in May-June 1940. Dempsey was promoted to lieutenant general, in November 1942 and took command of the 13th Corps of the 8th Army in North Africa. In July 1943, the Corps, under Miles Dempsey’s command, formed the right wing of Montgomery’s forces in the invasion of Sicily. His troops later led the invasion the Italian Peninsula across the Strait of Messina, where they advanced more than 300 miles to the north in 17 days before linking up with U.S. forces at Salerno. Because of his strategic acumen, Montgomery selected Dempsey to command the 2nd Army in the invasion of Normandy, which was comprised of both Canadian and British forces. According to the plan, the British 50th Infantry, British 3rd Infantry and Canadian 3rd Infantry Divisions were to assault Gold, Sword and Juno beaches respectively. After landing on June 6, the 2nd Army drove inland to capture Caen on July 9. Dempsey’s army kept German forces engaged so that the U.S. 1st Army was able to break out of Normandy. After Normandy, Dempsey continued to command the 2nd Army during its drive up to Germany. The 2nd Army fought major battles at Mortain and Falaise before driving to the east through Belgium. Dempsey’s Army was involved in Operation Market Garden, the failed Allied assault on the Netherlands in September 1944. The 2nd Army crossed the Rhine River in late March 1945 and captured the German cities of Bremen, Hamburg, and Kiel. Dwight David, one of seven sons of David and Ida Eisenhower, was born October 14th, 1890, in Denison, Texas. He entered the US Military Academy in 1911, where he graduated in the upper third of his class in 1915. After two years with the 19th Infantry at Fort Sam Houston, Texas, Eisenhower’s career accelerated with the Army’s expansion for WWI. By 1917, he had risen to the temporary grade of lieutenant colonel. Although he never went to France, Eisenhower commanded Camp Colt, the Army’s tank corps training center at Gettysburg. When the United States into WWII, Eisenhower took over the Army War Plans Division to draft a basic strategy for the war against the Axis. As a result of his efforts, Eisenhower was promoted to Commanding General, European Theater on June 25, 1942. Soon after his arrival, he led British and American troops in North Africa during Operation TORCH. By the end of 1943, Eisenhower had conducted successful landings in Sicily and Italy and negotiated an Italian surrender. Due to his successes, the Combined Chiefs of Staff named him Supreme Commander of the Allied Expeditionary Force for the invasion of Europe. Codenamed Operation OVERLORD, the attack across was to be the decisive act of the World War II. The Germans were aware of the Allied force build-up in the United Kingdom and anticipated an attack somewhere on the French coast. It was Eisenhower’s job to surprise the Germans in the time and place of the landings. Complicating matters was the fact that the Allied resources were sufficient for only one invasion attempt. After painstaking planning, Eisenhower launched the invasion on June 6, 1944. Following the beginning of the invasion, Eisenhower could to little but wait. In no way assured of success, he actually drafted letters both for the success and failure of the landing. However, the brave men on Gold, Sword, Juno, Omaha and Utah beaches managed to gain a solid beachhead by late afternoon. By the end of June, the Allies had moved nearly one million men and over 585,000 tons of supplies over the beaches. Following of the success of OVERLORD, Eisenhower launched a second landing in the south of France to trap the Germans in converging pincers and force them to retreat from France. 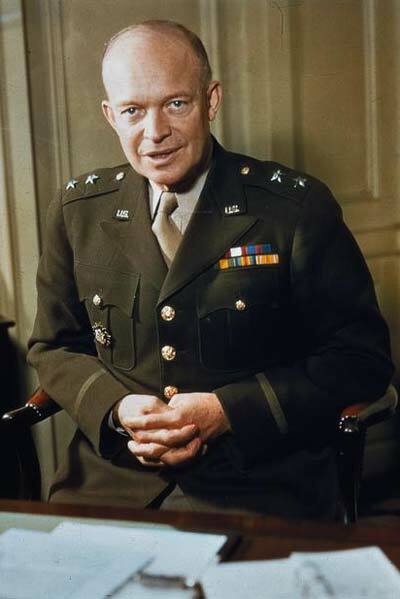 Eisenhower remained in command of the Allied forces through the unconditional surrender given to him by General Alfred Jodl at the SHAEF headquarters in Rheims. Following WWII, Eisenhower was appointed the Army’s Chief of Staff in 1945. In 1952 he was elected President of the United States. As president, he achieved a great deal including signing the treaty to end the Korean War, lobbying Congress to pass the Federal Aid Highway Act in 1956 and enforcing school desegregation in Little Rock, Ark. Additionally, he signed legislation to create the National Aeronautics and Space Administration (NASA) and oversaw the statehood of Alaska and Hawaii. Trafford Leigh-Mallory was born on Nov. 7, 1892 in Mobberly, Cheshire. Educated at Cambridge University, he graduated with honors after following a curriculum in history. He served with the Territorial Battalion of the King’s Regiment in 1914 at the outbreak of World War I and later received a commission in the Lancashire Fusiliers. In July 1916 he volunteered for service in the Royal Flying Corps. When the Corps reorganized as the Royal Air Force in April 1918, he took command of an aerial reconnaissance squadron receiving the Distinguished Service Order (D.S.O.) and continuing on in this position through to the Armistice. By 1937, with the clouds of war again gathering over Europe, Leigh-Mallory found himself in command of the RAF’s 12 Group. During the Battle of Britain, 12 Group played a vital role in turning the tide of the air war and inflicting heavy losses on the Luftwaffe. After the Battle of Britain, Leigh-Mallory took command of 11 Group which covered the airspace over London and southeast England. 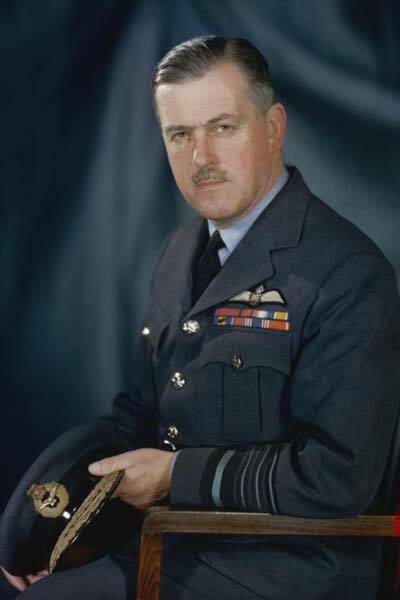 In 1942 Leigh-Mallory rose to Head of RAF Fighter Command, and by 1943 he became Commander-in-Chief of the Allied Expeditionary Air Forces (AEAF). During the buildup to Operation Overlord there were differing opinions on the best method of utilizing the Allied air power in support of the invasion troops. Leigh-Mallory, as AEAF Commander in charge of all tactical airforces based in England, was characteristically outspoken in support of his “Transportation Plan”. The “Transportation Plan” was an interdiction campaign that would encompass all Allied tactical and strategic air power and bring it to bear on the Axis forces throughout France and Germany. It had the singular purpose of targeting the transportation systems linking France and Germany. By solely targeting rail marshalling yards and associated service depots, Leigh-Mallory felt that German military traffic could be brought to a stand still. This would support the invasion by preventing German High Command from deploying its mobile reserve to the landing site at Normandy. Leigh-Mallory felt that by implementing the “Transportation Plan” ninety days prior to D-Day would allow the necessary time needed to saturate infrastructure targets across France and Belgium. By championing this approach Leigh-Mallory came into confrontation with Lt. General Carl ‘Tooey’ Spaatz, commander of the U.S. Strategic Air Force (USSTAF). Spaatz felt that the strategic bombing of aircraft factories and oil refineries was the quickest way to support an invasion and bring the Axis to its knees. After much debate on these courses of the air campaign, the ‘Transportation Plan’ finally received the approval of General Dwight D. Eisenhower, Supreme Allied Commander. 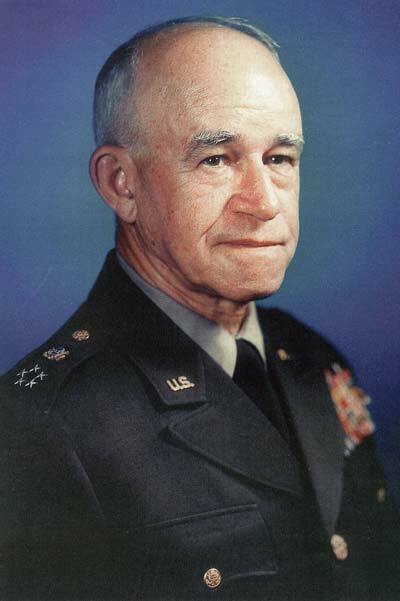 Leigh-Mallory took command of all Allied air power, both tactical and strategic, for Operation Overlord. His coordination of these air assets against the railroads and military traffic traveling over them proved to be of incalculable value to the success of the D-Day invasion. By June 6, 1944, rail traffic was sufficiently interrupted as to pose a logistical nightmare to the defending German army and the Luftwaffe units in France had been decimated to a point where they posed little threat to the invasion force. Through the implementation of the ‘Transportation Plan’ as part of the overall invasion, combined with the failure of the German High Command to recognize Normandy as the actual invasion site, the Allied forces were able to establish a firm foothold on the Continent and begin the drive east to Berlin. 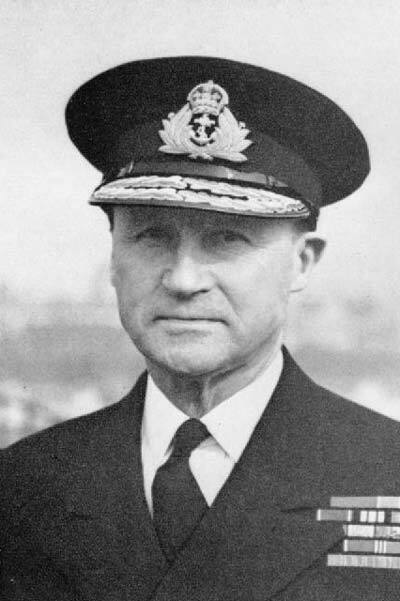 After the invasion of France, Leigh-Mallory was appointed Commander-in-Chief of the Allied Expeditionary Air Forces in South-East Asia in November 1944. Leigh-Mallory never took command of his new post, on Nov 18, 1944 his transport plane crashed in the French Alps killing all on board. 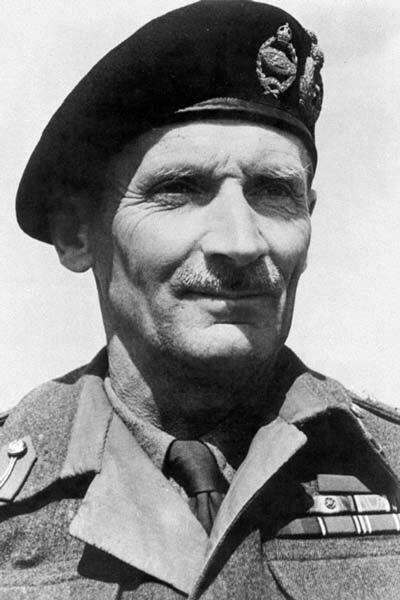 Bernard Law Montgomery was born in November 1887 in London. In 1907, he entered the Royal Military Academy at Sandhurst and was commissioned a lieutenant of infantry. During World War I he served with distinction and earned the D.S.O. for conspicuous gallantry after being wounded twice in the chest and knee in October 1914. During the inter-war years, Montgomery steadily rose through the levels of British Army. He was the Chief of Staff for the 47th London Division at the age of 31. In 1939 he was given command of the 3rd Division of the British Expeditionary Force (BEF). When the British Army was trapped at Dunkirk he was given command of the 2nd Corps. By 1941, Montgomery commanded the South Eastern Army with troops stationed in the Home Counties of Surrey, Kent and Sussex. His maxim of ‘training, training and more training’ combined with a penchant for organization helped rebuild and refit the British Army and helped alleviate the fears that Britain would be helpless against a German cross-channel invasion. 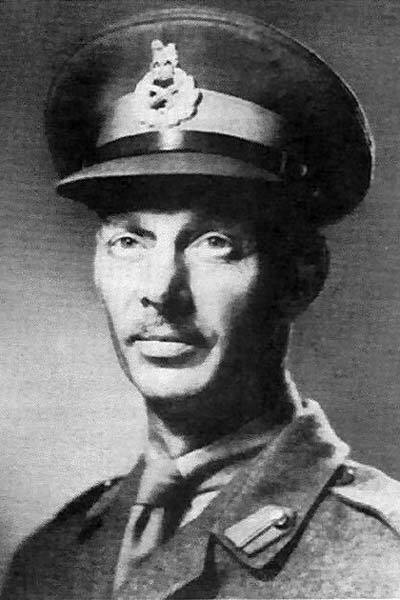 His skill and leadership style was not lost on his superiors, and on Aug. 10, 1942 Montgomery took command of the Eighth British Army in North Africa. The Eighth Army, after retreating hundreds of miles across Libya and Tunisia in the face of Rommel’s Afrika Corps, suffered from a lack of morale and decisive leadership. Like his resurrection of the South Eastern Army in England, Montgomery focused on training and military doctrine. His singular success was his integration of operations and command between the Army and Royal Air Force. He was put to the test two months after his arrival in Africa, when the British met the Afrika Corps at El Alamein in Egypt on Oct. 23, 1942. With this victory, Montgomery sounded the death knell for the German Army in Africa. Even with the brief resurgence of the Afrika Corps at Kasserine Pass on Feb. 20, 1943, Montgomery continued to exert pressure with his Eighth Army out of Egypt and constant harassment by the Desert Air Force. The Afrika Corps capitulated in March 1943 with Rommel being evacuated by air to Italy. After his victory in North Africa, Montgomery was recalled to England to serve under General Dwight Eisenhower, the Supreme Allied Commander. He commanded all Allied Ground troops during the D-Day invasion in June 1944. After the breakout of the Cherbourg Peninsula, he commanded an Army Group for the push up through Belgium and the Netherlands. In August 1944, he was promoted to Field Marshal and took command of all British and Canadian troops. Montgomery orchestrated Operation Market Garden, the largest airborne attack of WWII. The operation was an airborne attack deep in the enemy’s rear areas to be launched in mid-September 1944, in conjunction with a ground offensive by the British Second Army. The idea was to attack through the Netherlands and attack Germany from the West, avoiding the heavily fortified Siegfried Line and isolating any German forces to the west along the coast. Operation ‘Market’ would entail capturing the bridges between Eindhoven and Arnhem by means of airborne landings of the 1st Airborne Corps of the 1st Allied Airborne Army. Operation ‘Garden’ would be the simultaneous advance of the 30th Army Corps of the 2nd British Army from Belgium across occupied bridges to Arnhem. The operation was a failure due to a combination of poor communications, the surprise presence of crack German troops in the vicinity and bad weather, which prevented the reinforcement by air of the airborne contingent. However it did succeed in liberating the Southern Netherlands. Born in 1883, Adm. Bertram Home Ramsay spent nearly his entire life in the service of the Royal Navy. During, Ramsay’s 29 year career in the navy he commanded a monitor, destroyer, three cruisers and a battleship, and during Normandy, the largest amphibious assault force ever collected. In 1915, Ramsay had a stroke of good luck; he turned done the opportunity to be a Flag Lieutenant in the cruiser Defiance, which was later sunk at the battle of Jutland. Ramsay’s experience in commanding invasion fleets made him Eisenhower’s natural choice to lead the naval forces in Operation Overlord. Despite Ramsay’s concerns that the large waves on the channel would degrade the accuracy of his fleet’s gunfire, the invasion was launched on June 6th, 1944. His minesweepers began the invasion by scouring the channel for mines and clearing ten channels to Normandy for the invasion fleet. After the channel was cleared of mines, Ramsay’s fleet began landing men and equipment ashore while pounding suspected German strong points with gunfire. The 702 vessel strong naval bombardment fleet ranged in size from battleship all the way down to landing craft that were specially fitted with rockets. Ramsay’s planning and experience made history’s largest amphibious invasion possible. In 1945, Ramsay’s life was cut short when he was killed in a plane crash. Carl Andrew ‘Tooey” Spaatz (his surname was originally Spatz, the extra “a” was added in 1937) was born in Boyertown, Penn. on June 28, 1891. After graduating from West Point in 1914, he was commissioned as a second lieutenant in the infantry and assigned to the Schofield Barracks in Hawaii. He volunteered for the fledgling Air Corps in 1916 and became one of the first military aviators in the U.S. Army. In May 1917 he was promoted to captain and placed in command of the 31st Aero Squadron in France. His primary mission was to establish a curriculum and training plan for the 3rd Aviation Instruction Center at the aerodrome at Issoudon. By the end of World War I he managed three weeks of combat flight time, during which he received the Distinguished Service Cross for shooting down three German aircraft. In June 1918 he was brevetted a major. Spaatz was promoted to a permanent major in July 1920, and during the inter-war years he proceeded up the ranks of a peace-time Air Corps. When war broke out in Europe in 1939, Spaatz became the Air Corps’ chief planner. He went to England in 1940 as an observer in the position of an acting brigadier general. Upon his return to the United States he headed the materiel division of the Air Corps. In July 1941 Spaatz became chief of the air staff of the newly renamed Army Air Force under General Henry H. “Hap” Arnold. After the United States entered into World War II, Spaatz rose to Chief of the Air Force Combat Command in January 1942. He was again sent to England to initiate the planning stages of the American Air Effort in Europe. In May 1942 he commanded the Eighth Air Force and in July he was named commander of U.S. Army Air Forces in Europe. By November 1942, on order of General Dwight D. Eisenhower, Spaatz reorganized the Allied air forces in North Africa. He become commander of the Allied Northwest African Air Forces (NWAAF) in February 1943. By March 1943 he took command of the Twelfth Air Force in North Africa as a temporary lieutenant general. There his forces played an instrumental part in reducing Rommel’s Afrika Korps and later in support of the invasion of Sicily. By January 1944, Spaatz commanded the U.S. Strategic Air Forces in Europe (USSTAF), to include the Eighth Air Force under the command of General James ‘Jimmy’ Doolittle in England, and the Fifteenth Air Force under General Nathan Twining in Italy. During the implementation of an air superiority campaign for Operation Overlord, Spaatz came into direct confrontation with British Air Marshal Trafford Leigh-Mallory, Commander-in-Chief of the Allied Expeditionary Air Forces (AEAF), the tactical air command. Leigh-Mallory’s scheme for an interdiction campaign, known as the ‘Transportation Plan’, encompassed all Allied tactical and strategic air power with the singular purpose of targeting the rail systems linking France and Germany. Spaatz felt that the best way to neutralize any German threat to a cross channel invasion was to launch an all out strategic bombing campaign against the oil production and industrial infrastructure of the Third Reich. While Leigh-Mallory’s ‘Transportation Plan’ won final approval from Eisenhower, Spaatz felt the best use of the strategic air forces was the continued systematic destruction of all German oil production. 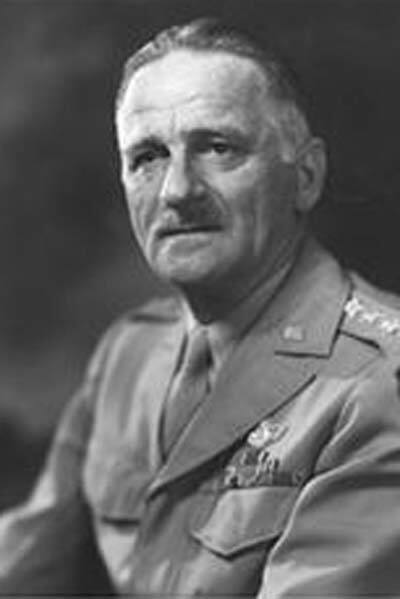 In Spaatz’s opinion, “…forces employed against oil will force policy decisions in anticipation of impending reduction in fuel supplies and consequent reduction in fighting power.” He felt that the three target priorities for the strategic air forces should be: the German Luftwaffe, German aircraft production to include ball bearing manufacturing, and Axis oil production. By mid April 1944 Eisenhower issued a formal directive outlining the Allied air interdiction campaign in support of the invasion of Normandy. Air power was prioritized into two missions: to defeat the Luftwaffe and destroy and disrupt the enemy’s rail links within France, Germany and Belgium. Ultimately, Spaatz, under the guise of following Eisenhower’s number one directive, destruction of the Luftwaffe, used the strategic forces under his command to direct attacks against Axis oil production, as well as grudgingly support the ‘Transportation Plan’ with his bombers. These raids brought the available fuel supply to dangerously low levels for the Luftwaffe. Erwin Johannes Rommel was born in 1891 and he joined the German Army as a cadet in 1910. During World War I he served as an infantry lieutenant with the German Army in Italy, Romania and France. For his bravery in action during the Battle of Caporetto he was awarded the highest decoration bestowed by the forces of Imperial Germany, the ‘Order of the Pour le Merite’ — the Blue Max. In the years between the world wars, Rommel served as instructor at the Infantry School at Dresden and later served as Commander of the German War Academy. It was during this period that he wrote “Infantry Attacks” (“Infanterie Greift an”). Though based on his personal experiences, the book became a seminal work and was incorporated into the training of military cadets and junior officers. During the rise of the 3rd Reich, Rommel found himself singled out to command Hitler’s personal bodyguard. He commanded the 7th Panzer Division as the German blitzkrieg rolled over France and for his tactical prowess of massing forces of combined armor and infantry was sent to command the forces in the African theater. There he earned the nickname “the Desert Fox.” Rommel’s famous goggles, which he sported in all of his photographs, were actually the pair taken from British General Richard O’Connor when he was captured in April 1941, and not German Army issue. As commander of the Afrika Corps, his unorthodox tactics and his grasp of strategy sent the British army staggering and nearly drove the British out of Egypt and put the British empire’s lifeline, the Suez Canal in the hands of the 3rd Reich. Rommel’s luck ran out, however, as well as his supply lines on October 23, 1942 at the Battle of El Alamain. As Rommel struggled to regain his momentum, British forces under Gen. Bernard Law Montgomery slammed into the stalled Afrika Corps with massed ground attacks and constant harassment from the air. The Afrika Corps found itself trapped with its back to the sea. Rommel fought rearguard actions through Benghazi, Tripoli and finally to the Mareth Line in Southern Tunisia. Even his eleventh hour victory at the Kasserine Pass in February 1943 could not stem the Allied onslaught and Rommel was recalled from the African theater in March 1943 to Italy by Hitler. The Afrika Corps was abandoned in Tunisia and close to 275,000 Axis soldiers were forced to capitulate. This blow, following so closely on the heels of the German defeat at Stalingrad sowed the seed of discontent in Rommel with the German High Command (OKW) and Hitler’s handling of the war. Following a brief posting to Italy, Rommel took command of the 7th German Army in Brittany and Normandy, and began an analysis and strengthening of the already formidable fortifications of the Atlantic Wall of Hitler’s Fortress Europe. With the inevitable Allied invasion of Western Europe looming, Rommel hoped to hold any invading force to the beach and use his armor and mechanized infantry as a mobile reserve to quickly stem any Allied push and prevent a breakthrough to the hedge country of France. When the D-Day invasion began, Rommel was back in Germany on leave for his wife’s birthday. Unable to stem the invading tide and with the OKW reluctant to commit its infantry and panzer reserves to the Normandy invasion sites, the German Army lost valuable time as it tried to ascertain whether the landings at Normandy were the main Allied push or merely a feint. With news of the invasion, Rommel rushed back to the headquarters of Army Group B by late evening of June 6th and attempted to push the German counterattack. Realizing the severity of the situation, Rommel went directly to Hitler in the hopes of convincing the Furher that the situation in Normandy was untenable and to have the German army pull back to defensive positions on the Seine. Hitler’s outright rejection of any strategic retreat affected Rommel so greatly that he discussed with other high-ranking German officers the idea of opening secret talks with the Allies. The believed that by removing Hitler from power a negotiated truce might be possible. On July 16, 1944, these hopes were dashed when Rommel was severely wounded when his staff car was strafed by Allied aircraft. His injuries were severe enough to remove him from command of the forces in Normandy. On July 20, 1944, a bomb detonated during a conference between Hitler and his top advisors in his headquarters on the Eastern Prussia, the “Wolfschanze.” Though the bomb failed to kill Hitler, Rommel, along with some of the highest officers in the German military, was implicated for his part in the assassination attempt. Facing a propaganda nightmare Hitler himself ordered Rommel to commit suicide. 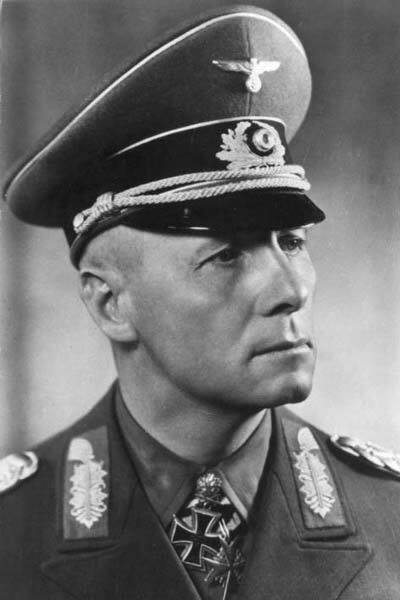 With Hitler using the safety of Rommel’s family as leverage, Rommel poisoned himself on Oct. 14, 1944, while publicly he was said to have died in an automobile accident. Not able to afford to lose Rommel’s prestige before the German people Hitler had Rommel buried with full military honors and Rommel’s complicity in the ‘20th of July Plot’ was never made public.